Named after Emperor Meiji, the Meiji Shrine or Meiji Jingu, is a Shinto Shrine located at the heart of Tokyo, Japan's Capital City. 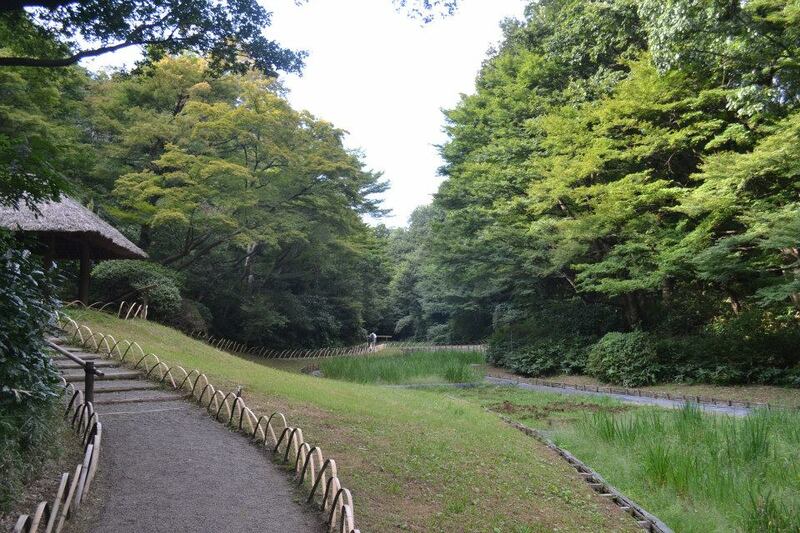 It was built on an iris garden whom the emperor and his wife, Empress Shoken, loved to visit during their reign. 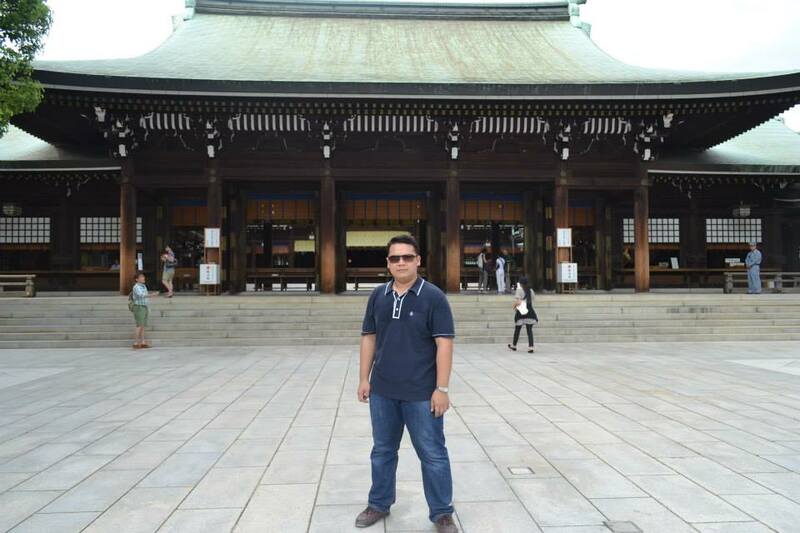 It was constructed at the early 1900's for the Shinto Japanese and is also a popular attraction for tourists and travellers nowadays. 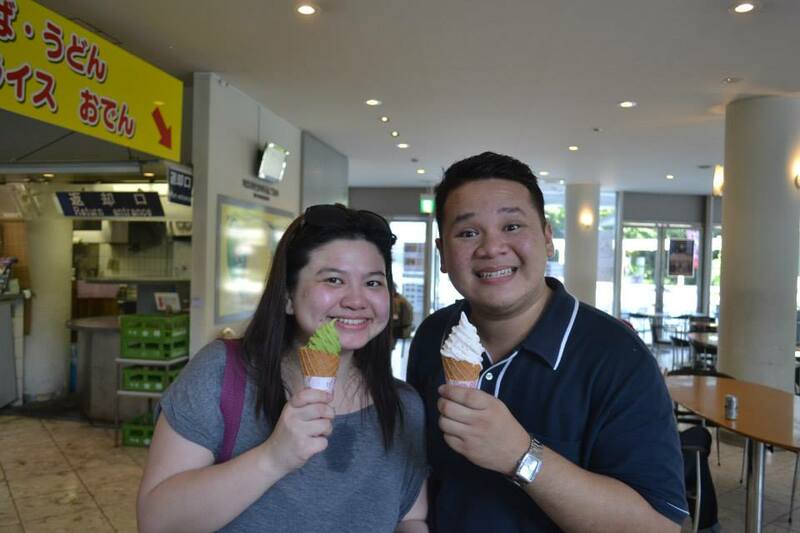 It was my first day at Tokyo when my cousin Ate Carmina gave me a tour around her city. 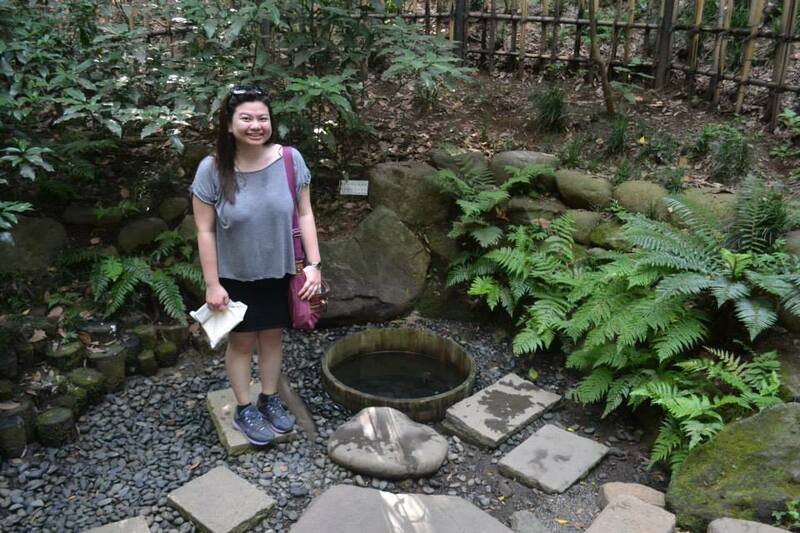 She was stationed for her work at Tokyo for almost two years and she was a great tour guide for me around Tokyo where we had so much fun and adventures. 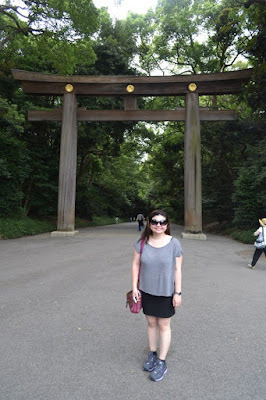 We both love this photo of us at the Torii because we both look very slim on this one. 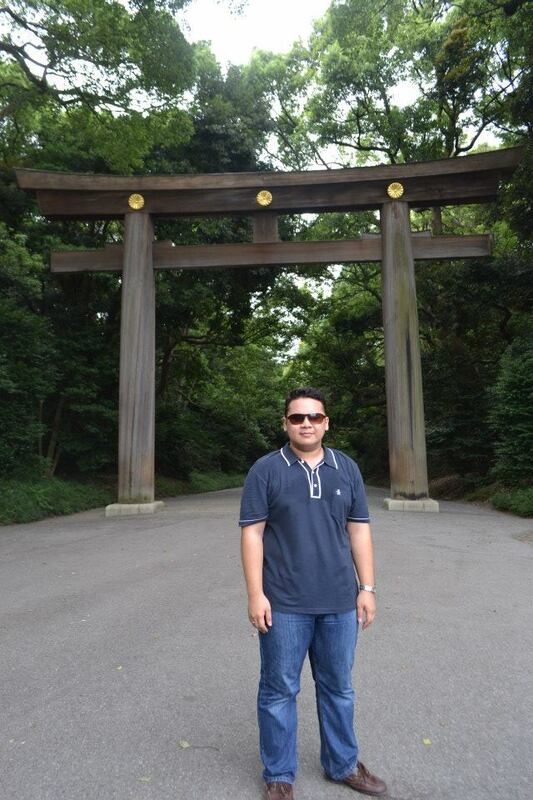 Toriis are gates usually made of wood or other material which marks the entrance or path to a Shinto shrine. it comes in various colors but some are left naturally unpainted like the ones at Meiji Shrine. 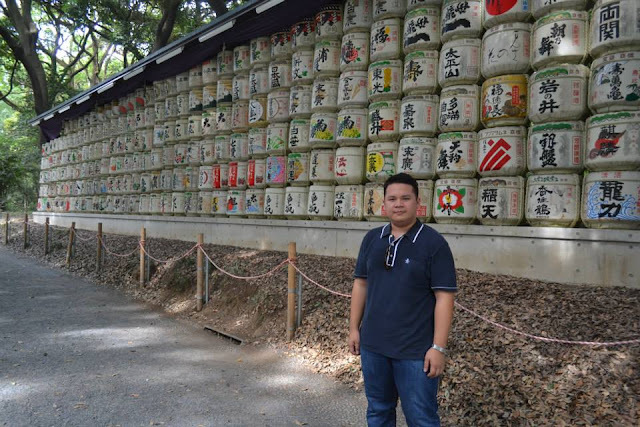 As we went through the first Torii that leads the path to the central shrine, a wall of big ceramic barrels are displayed at the side. Inside this colorfully painted barrels are Sake or Japanese Rice Wine that are donated by the visitors to the shrine. 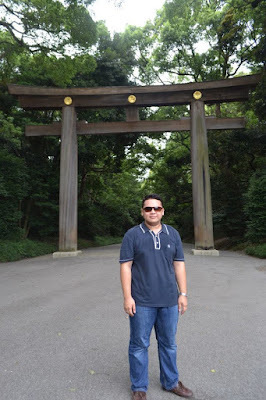 As you walk through the path and pass another Torii, you will then approach a hut with wooden pails of water. 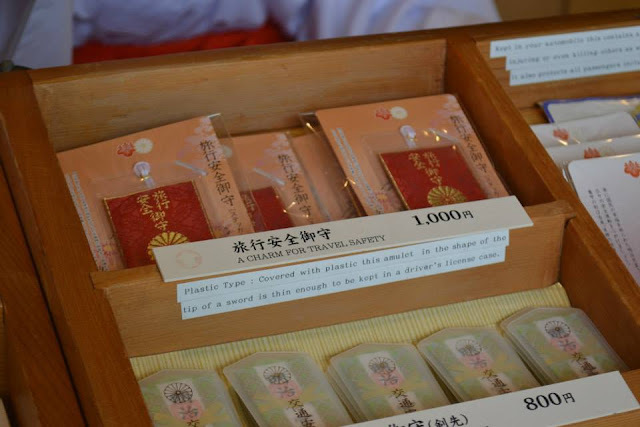 This is called the Purification Through. You dip these wooden pail to fetch spring water and use it to clean your hands and mouth before entering the sacred shrine. 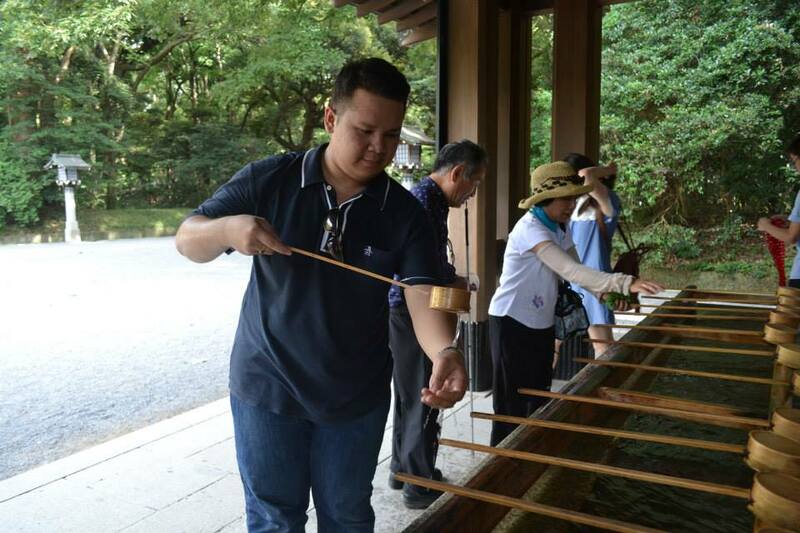 Me at the Purification Through. Clean both hands and your mouth. 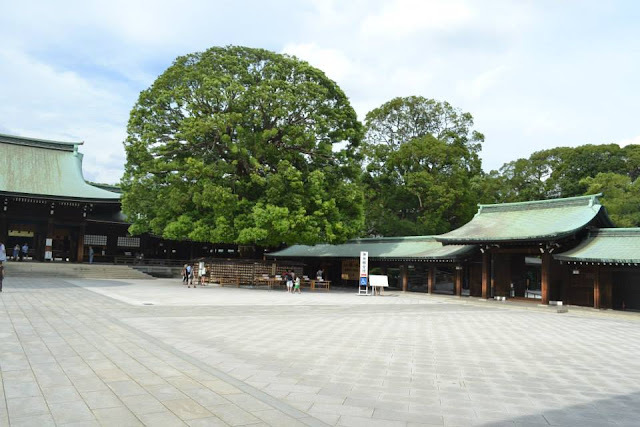 Reminder: There are several things to remember in visiting these Shinto Shrines across Japan. They are all beautiful and designed very intricately, but we should never forget that these buildings are not just historical tourist attractions, they are a place of worship. 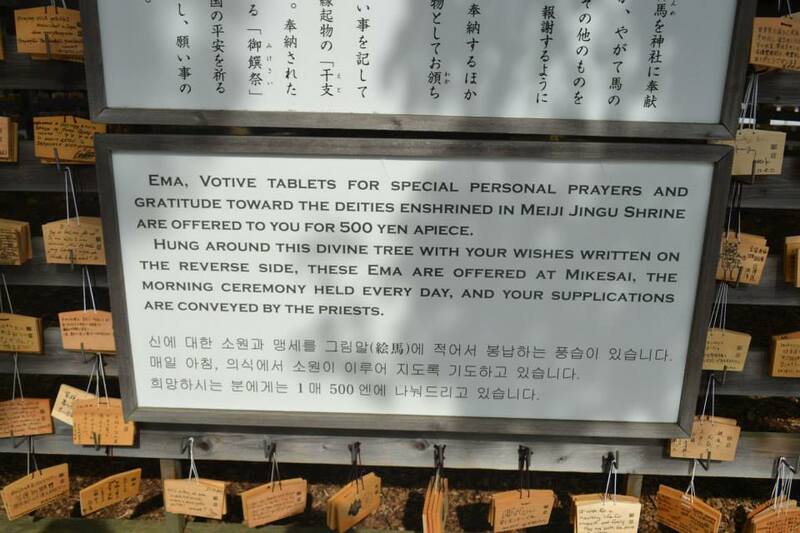 Japanese people treat it with utmost respect and it will not be so hard for us to extend the same respect to the shrines. After we said our prayers and wishes at the the Main Shrine, Ate Min and I went walking back to a garden entrance we passed by on the way to the Main Shrine. 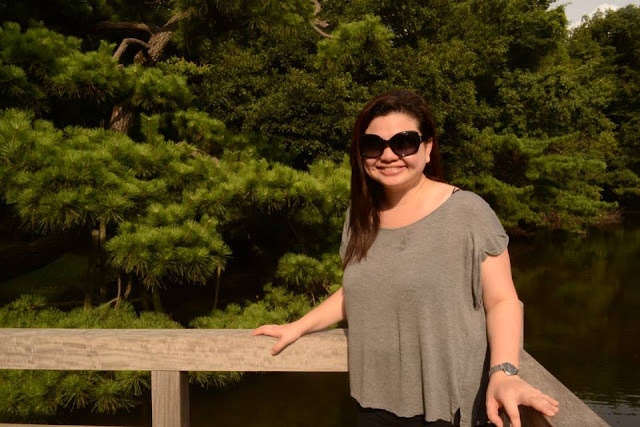 In here, you will have to pay an entrance fee for you to get inside the beautiful gardens. It is said that during the Spring and Autumn, the trees here look so colorful. Well, it was in the middle of Summer but still it is beautiful. The path through the iris gardens. As Ate Min and I were walking along this path, I was actually shocked and quite terrified when I saw a big mantis praying on a bush just a foot away from my face. When I shouted that there is an insect, I never thought Ate Min is also afraid of insects so we both ran so fast screaming our lungs out! It was so funny but man, we really got scared! Along the path is a beautiful terrace above a koi pond. There were fishes and turtles that are believed to be there since the iris garden was started there. We posed for some photos with the nice view of the surrounding woods. Before we said goodbye to Meiji Shrine, as we walked along the same path outwards, we passed through a cafeteria and Ate Min got us some Ice Cream Cones! 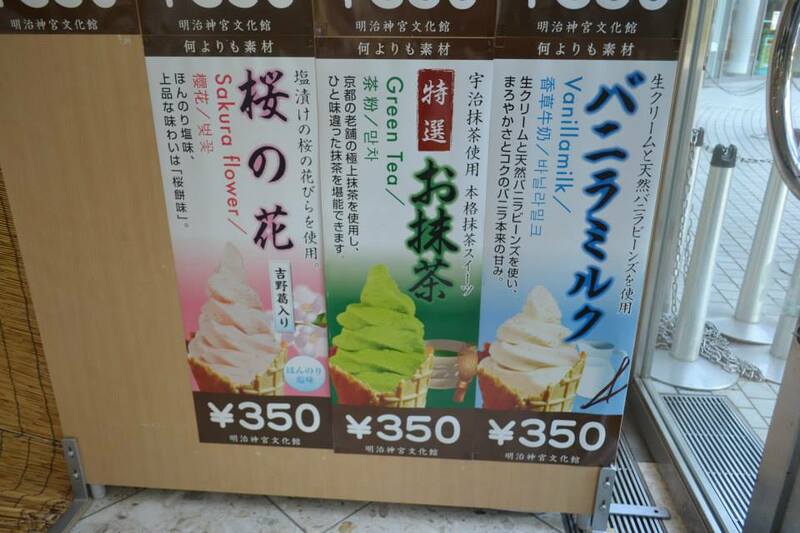 It was so cool with flavors Vanilla, Green Tea, and weirdly, Sakura Flower. The curious that I am, I ordered the cherry blossom and I have to say, it does taste good! I haven't tried tasting the flower itself but if I would have to describe it, it was sweet, milky and a little bit woody. I really liked it. 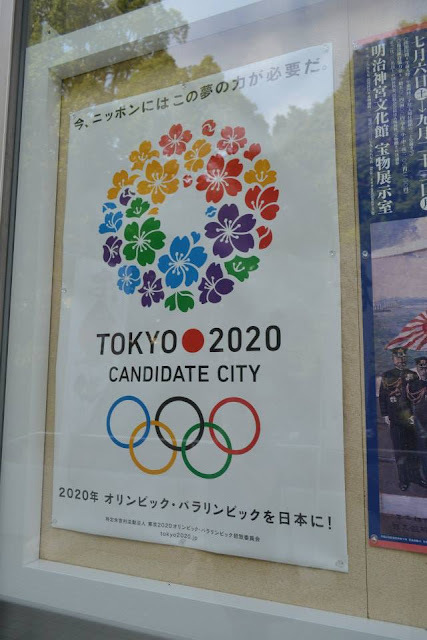 During the time of my visit to Tokyo, August 2013, Tokyo was still a candidate city for the 2020 Olympics. But now, I am very sure they are pretty much preparing to host the Olympiad as much as they were preparing for their bid before they were declared the rightful host. Tokyo is a big city. And even through its vast population, there are still places preserved and nurtured not just for its religious importance but also to conserve the nature even in the middle of a world city. Being a competitive city, doesn't always mean just money, business and the corporate world. Moreover, having a place to breathe in fresh air and a quiet sanctuary to destress is a big help for any growing population. 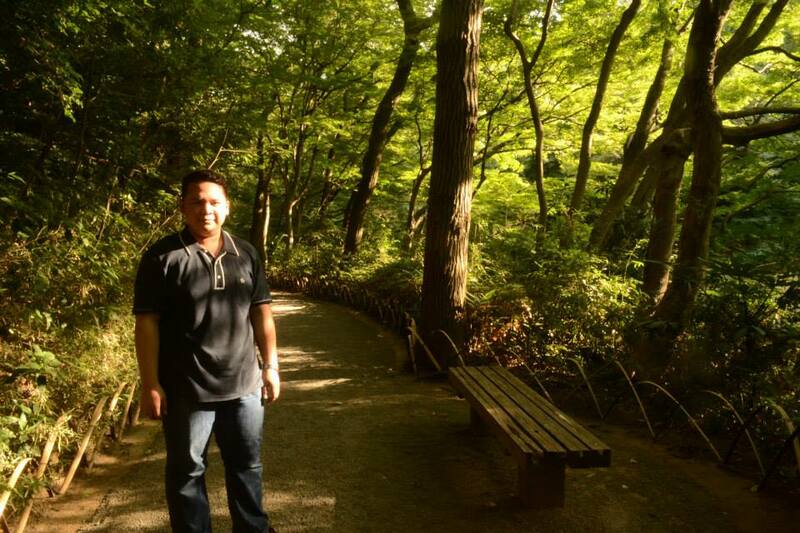 Forest in Tokyo? Well, I was on it.